What is your Marketing Content Creator Type? Are you stuck? Wondering how to grow your business and taking things to the next level? Whether you are starting out, or scaling up, figuring out the tech solutions for your business can feel like a full-time job. I’ve been Mentoring small businesses and entrepreneurs for years, and one thing I’ve learned is that small businesses and entrepreneurs never have enough time to get everything done. 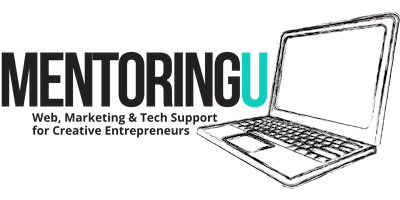 At MentoringU, I provide busy business owners, entrepreneurs, bloggers, and freelancers with quick, contract-free solutions to the tech issues they encounter. 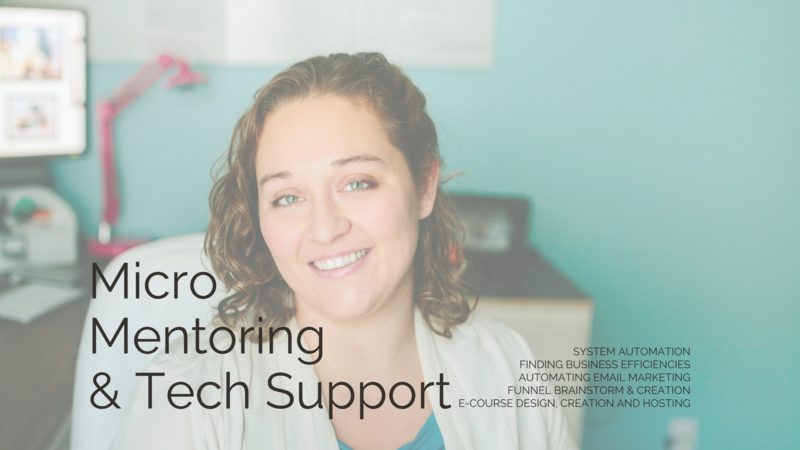 You need a Tech Mentor! Someone with answers when you have questions. Someone who works project by project supporting you and your goals. Running your own business is awesome…and exhausting. It can take years before you’re ready to staff up and have a team ready to support you. Don’t try to do everything. Grab a Micro-Mentoring Session, try the Skills Lab, or outsource a project and spend your time doing what you’re best at. Leave the Tech Support to me! Book a session and use the time how you see fit. We can jump into solving your tech issue together, or treat it like a more traditional mentoring session where we discuss roadblocks you’re encountering and come up with solutions perfect for you. Entrepreneurship is hard enough…don’t waste time re-creating the wheel. We’ve created a virtual library of trainings, templates, interactive guides, and planners to help you keep your business focused and on track. Thinking about turning your knowledge into an e-course? Or maybe you want to automate your sales funnels? I help small businesses make tech look easy! Whatever the tech problem you are trying to tackle is, I’m here to help.